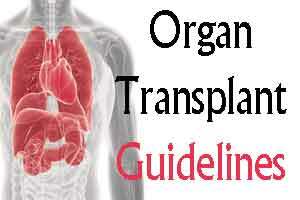 The state government in Gujarat is reported to have formulated new guidelines for organ transplant, with the initiative titled as deceased donor organ and tissue transplantation (G-DOT). Under this initiative, all private or government hospitals in the state will be required to register as designated Organ and Tissue Transplant Hospital (OTTH). This development has been proposed to enforce stringent protocols for organ donors, retrieving hospitals and recipients. The draft guidelines are currently under approval by the state government-in consideration of the The State Organ and Tissue Transplantation Organization (SOTTO). SOTTO is supposed to be governing authority that takes decisions on organ transplant and harvesting issues. As reported by TOI, “Had the law been in force, the organ transplant would not have been so smooth where it involves inter-state transfer as the SOTTO will give preference for local patients,” says a senior health official. The new guidelines also propose to fine hospitals heavily — Rs 10,000 to Rs 10 lakh — for refusing to comply with the procedures for declaring a patient brain dead. As further implied by TOI, the punishment by the law for not registering can be severe; it may even lead to cancellation of the hospital’s license. SOTTO has also given an authority to its team to procure organs from other hospitals, if the need be, and in such case the government will bear the expenses of organ retrieval. In context of use of advanced tech applications, SOTTO will make use of a centralized software to monitor the medical conditions on organ recipients in real time. “For instance, in the case of a kidney transplant, the software will report in real time biochemical or blood reports of recipients in need of the kidney. This includes reports on metabolites like urea, creatinine, guanidine and related compounds. On the basis of these reports, SOTTO will decide the priority of which patient should receive the organ first,” says a senior state health official.